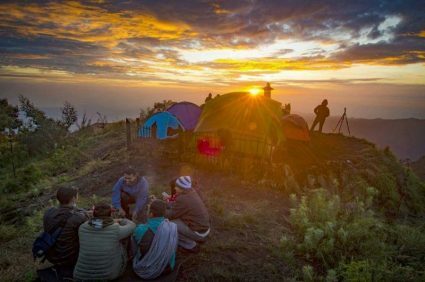 Tour Package Ijen Crater Mount Bromo Surabaya is tour package options in east java start from Banyuwangi after from Bali then to Surabaya. Mount bromo is the second tourist destination in east java if you started from Banyuwangi. Ijen crater has a special attraction is it Blue fire, green lake and sunrise with around scenery which is amazing. The blue flame contain in ijen crater is the gas of coming out from crevice gap at edge in crater. Addition you can enjoy the beauty of the sunrise against the background of a green lake in the middle of ijen crater. So it can form a of sulfur is take by local people to be sold to collector on the place. You can saw traditional sulfur mining processes by local people. The tour will start after being pick up by our tour guide or driver at the airport, hotel or train station in Surabaya, Malang or places we have previously set. Our driver and tour guide will take you to Bondowoso city area for about 6 hours driving by private car depending on the capacity of the participants. You can stop wherever you want, talk to our driver or guide. Arrive hotel ( check in ) in Bondowoso city and rest. You will wake up early 12.00 am to prepare for the Ijen Blue fire tour, breakfast can be taken first and depart at 12.30 to Paltuding ( parking ), you will meet with local guide to guide to the peak of ijen for 1 half hours climb. On the top of the mountain you will enjoy the amazing natural phenomena of the blue flame. Once satisfied with the blue flame, such as : green lake Ijen, Mount Ranti and of course you will see many people carry sulfur on their shoulders. On average they can carry 60 kg up to 90 kg per person with a salary of about 1,050 rupiah / kg not up to $1 hard work. When we finish with Ijen tour, back to the parking area meet with our driver and then head to Ketapang ferry port or continue the tour to mount bromo for about 5 hours driving. Wake up early morning at 2:30 am for the preparation of bromo sunrise tour. 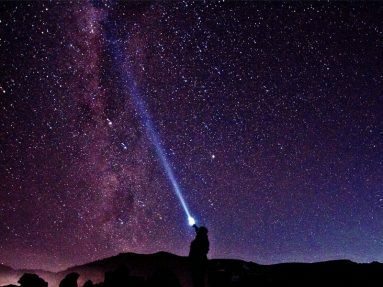 At 03:00 am you leave the hotel by using 4 WD Jeep Bromo to go to mount Penanjakan / Kingkong hill most famous view point which is the purpose of seeing the sunrise in this area. Take picture and watch the sunrise until finish. From the beauty of Bromo Sunrise you will see the highest mountain in Java, Semeru Mountain which releases gas of smoke every 20 minutes. Once satisfied with the sunrise, return to the jeep and will take you to the second location of Bromo Crater. Jeep Bromo will park 1 km before Bromo crater. From the Jeep parking area, you can walk or use rent horse service to the ladder on the next bromo mountain you will pass 250 steps to the lips of the crater. Return from bromo crater, the jeep will take you to the third location in Savannah / Teletubbies hill that continues until the last point of the tour that is whispering sand. Finally jeep bromo will take you back to hotel. Arrive in Surabaya and tour finish.